Didi Hamann isn’t always nice about Liverpool players. In fact, he was downright horrible about Loris Karius following the Champions League Final (although many Reds were) and has previously slated both Jordan Henderson and Jurgen Klopp. 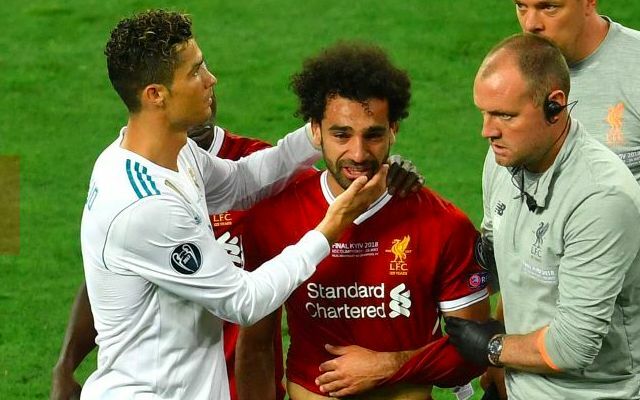 But our former midfielder, who won the European Cup in 2005, has claimed that Mo Salah will and should stay at Liverpool – largely because of his manager. “At Barcelona and Real Madrid, unless you are Lionel Messi or Cristiano Ronaldo, then you are just another good player,” he told the Mirror. “I think the emotional side of football is very important to Salah. If he is happy – and he looks to be very comfortable at Liverpool – then he strikes me as a player who will be very loyal. “I don’t think it is any coincidence that the shackles have come off playing for Jurgen Klopp at Liverpool. “It just looks like a perfect fit. When you become a hero at Liverpool, the fans love you like you are a member of their family. Salah enjoyed a tremendous campaign in 2017/18, scoring 44 goals and registering a hatful of assists as well. At the end of the season, he looked a little tired in truth, but that’s no surprise considering how much we relied on him. We hope he can get fit for the World Cup and represent Egypt well, before enjoying the kind of break his body needs. Then, Salah can return to Melwood and begin forming on-pitch relationships with the likes of Naby Keita and Fabinho, who’ve already arrived, and hopefully some more exciting new attackers as well!